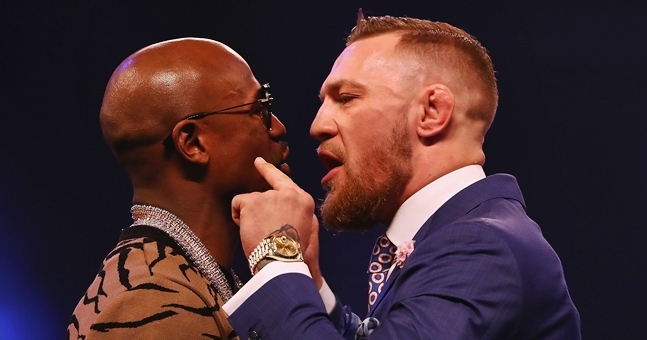 Boxing experts will have you believe that Conor McGregor cannot possibly defeat Floyd Mayweather when the two face off in Las Vegas on August 26. However, in an era where the impossible is seemingly becoming the norm, a sensational McGregor win could very well happen, and here’s why. The past eighteen months have delivered a litany of global events that have been so far-fetched, they have been literally history-making. In the world of politics, who would have guessed that one-time boxing promoter and former reality TV star Donald Trump, running as an independent Republican candidate, would become US President, or that a young Frenchman named François Hollande could form his own party and within two years be the ruler of his country? Who’d have imagined that the British public would vote to leave the very zone that has been key to their prosperity as a country, the single European market? And who could have foreseen that career anti-politician Jeremy Corbyn would come within a whisker of winning the UK election? 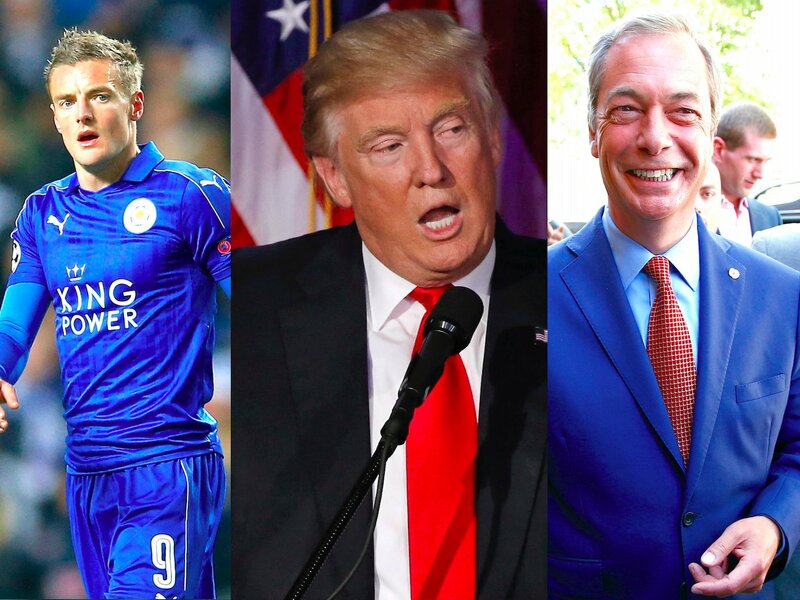 In the world of sport, who’d have guessed Leicester City, fielding a team that had narrowly avoided relegation the previous season, would win the world’s richest soccer competition, the English Premier League, ahead of behemoths like Manchester United, Liverpool, Chelsea and Arsenal? 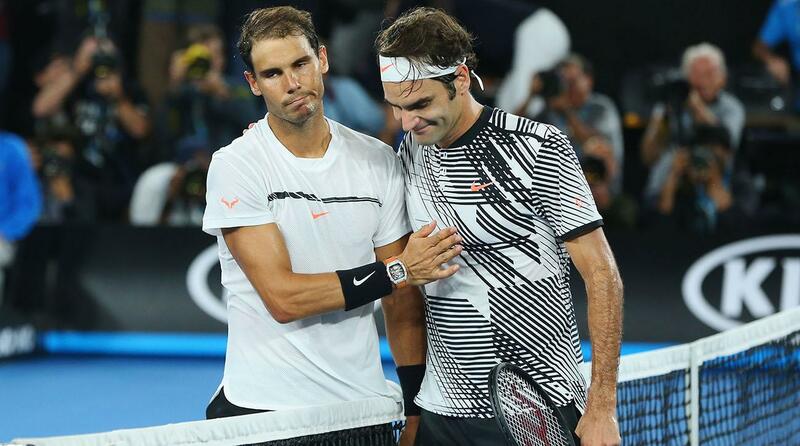 After being written off due to injury, old age, and the natural passing of the torch to the younger Novak Djokovic and Andy Murray, who’d have guessed that a perennially crocked Rafael Nadal and a geriatric 36-year old Roger Federer would storm back and win all three tennis grand slams played thus far in 2017, and will finish the year as the world’s top-two? …or that Conor McGregor would flatten Floyd Mayweather with a left hook/right cross combination in the first round of their much-hyped Las Vegas multi-million dollar “boxing match”? All of the other incidents listed above have come true – bar the last one, and yet, said in the context of those other events, a Conor McGregor victory doesn’t seem quite so far-fetched, does it? In fact, it seems to fit perfectly with the narrative of the crazy, unpredictable times that we live in! 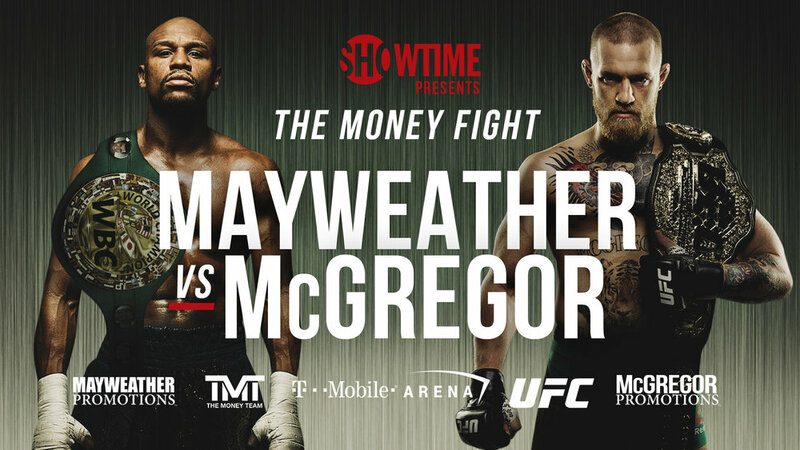 Read any article by a so-called boxing journalist, or listen to any podcast presented by a “boxing expert”, and you will be informed that Conor McGregor has absolutely no chance of beating Floyd Mayweather on August 26, and that Mayweather will be so dominant, he will end the fight whenever he chooses. It doesn’t matter that McGregor is a supreme fighting machine at the absolute peak of his powers, a man who has conquered the sport of mixed martial arts – a hand-to-hand combat hybrid that by definition requires the absolute mastery of wrestling, kicking and punching. It’s of no concern that the bigger, stronger, decade younger McGregor won’t have to worry about being kicked or taken down, and can simply focus on fighting with his fists. And it’s neither here-nor-there that McGregor actually has a background in boxing, was an experienced amateur who won several novice titles in Ireland, and would surely have become a world champion had he focused exclusively on pugilism and not fallen in love with MMA. The boxing press cannot see past the manufactured greatness of Floyd Mayweather Jr, the 40-year old 5’ 8” 150-pounder with the brittle hands and built up record, the boxer whose career was carefully orchestrated first by Bob Arum and then to genius-levels by the mysterious, mythical figure of his Svengali Al Haymon, the man who has gone unbeaten in 49 fights and 21 years, and yet managed to avoid fighting a single great fighter at their peak. It matters little to them that Mayweather needed a biased judging panel and then a referee who protected him like an overly possessive mother to get him through two fights with the crude, wild swinging Argentinian brawler Marcos Maidana in 2014. They would have you believe that it is physically, scientifically and psychologically impossible for Conor McGregor to defeat Floyd Mayweather, when anyone who has experienced any level of human combat knows, whether it be in a school playground, a fight on the streets, a drunken barroom brawl, a boxing match or an MMA bout, knows that in reality, in a fight, pretty much anything is possible. An unseen blow to the point of the chin or the temple or even the liver will end proceedings instantly. A punch below the belt or to the back of the head could be distracting or painful enough for a follow-up assault to hit home and end the contest. A bad cut can result in the best-laid battle plan being thrown out of the window. Buster Douglas KO’d Mike Tyson, Leon Spinks outpointed Muhammad Ali and Battling Siki flattened Georges Carpentier. Upsets happen. The bottom line is that when human beings are involved, the variants are infinite, and anything is possible. Conor McGregor is more than capable of beating Floyd Mayweather, and below are six factors which back up that statement. Like him or loathe him, there’s just no escaping the fact that Conor McGregor is a phenomenal athlete, quite possibly the most athletically gifted individual in combat sports since the legendary Bruce Lee. 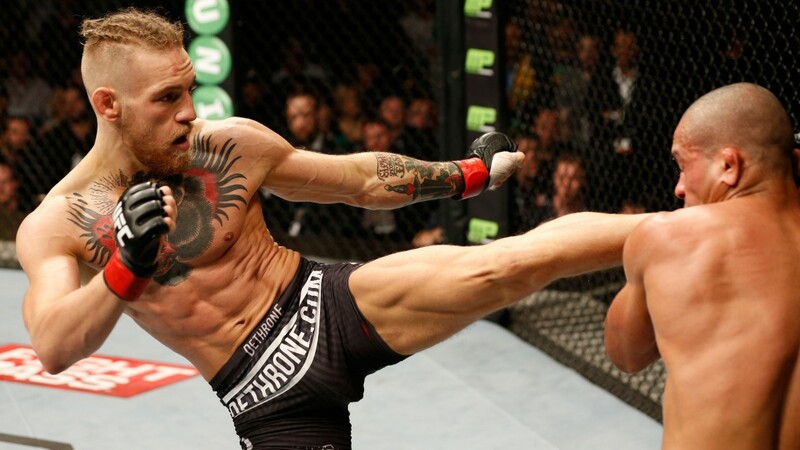 Even if you have zero interest in mixed martial arts, you cannot help but marvel at McGregor’s superb natural balance, flexibility, strength to weight ratio, mobility and power. Had he chose the path of an Olympic gymnast instead of combat sports, he would surely have ascended to the very pinnacle. If he’d wished for a career as a dancer, he could have been the new Michael Flatley. McGregor’s athleticism and agility combined with lightning speed and crushing power make him a lethal fighting machine. While he may not have the conventional boxing background of Mayweather’s previous opponents, he would leave every one of them standing when it came to natural movement and flexibility. This is why he will be able to find the angles to hit Mayweather harder and more often than anyone else has. 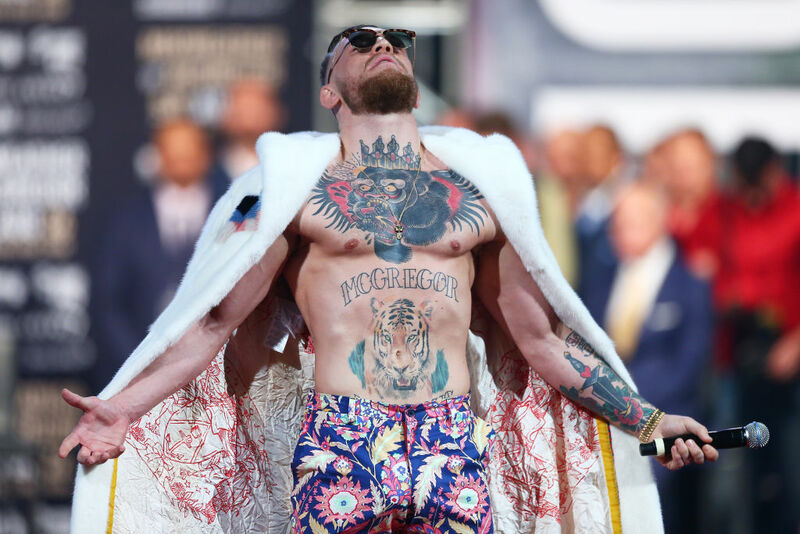 For one of the most naturally blessed fighters – not to mention masterful showmen – in boxing history to speak with such reverence of McGregor is high praise indeed. Floyd Mayweather loves to brag about his 49-0 record, but in reality that record could easily be 48-1, 47-2 or even 46-3. Many boxing experts believe that Mayweather had comprehensively lost to Jose Luis Castillo in 2002, only to receive a points win. 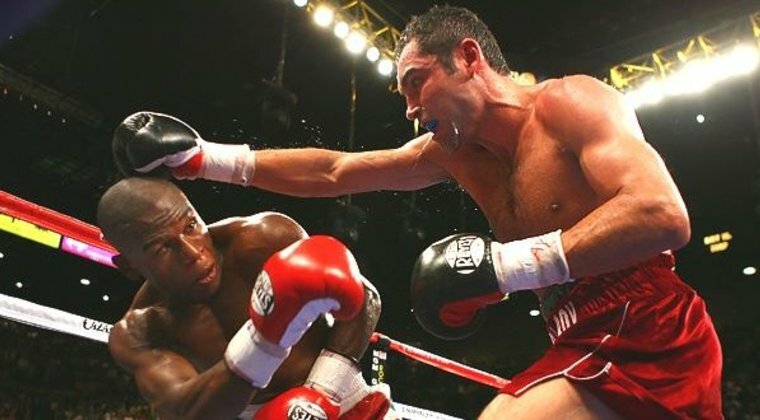 Millions watching worldwide reckoned that a 36-year old Oscar De La Hoya had done more than enough in their 2007 fight, only for Mayweather to be awarded a split decision. 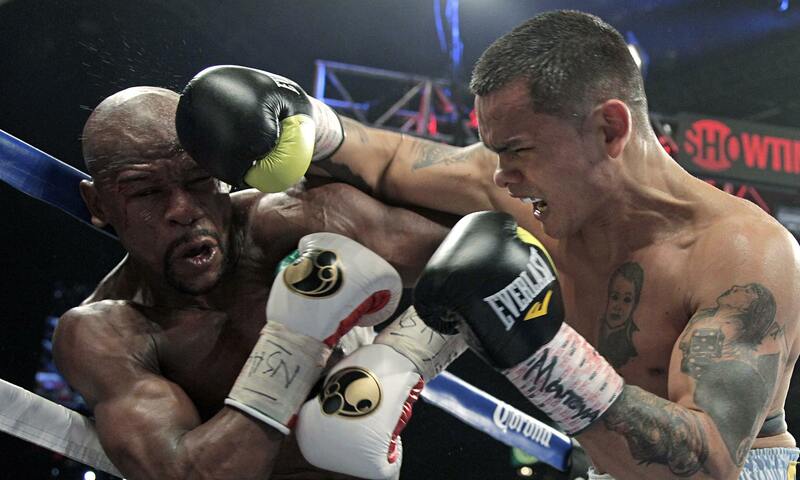 Most recently in 2014, Marcos Maidana’s sheer aggression and non-stop punching appeared to have overwhelmed Mayweather, but the judges saw things differently, handing the American a majority decision win that caused an uproar. Each of these fights was met with howls of derision, both live at the venue and in millions of homes around the world, and it’s safe to say that had Mayweather lost any of these fights, there would very little protestation from the rank and file of boxing fans. Floyd Mayweather himself probably knows he is extremely fortunate to still be unbeaten. He has been found wanting against rough, tough, aggressive customers like Castillo and Maidana, and struggled against faded greats like Oscar De La Hoya, Shane Mosley, Miguel Cotto, even Manny Pacquiao. Mayweather was a dominant, physical force at 130 lbs. in his mid-twenties, but since moving up to lightweight and effectively losing to Castillo, he has approached his career differently. What separates Mayweather from other highly skillful boxers like Benny Leonard, Sugar Ray Robinson, Muhammad Ali, Sugar Ray Leonard, Roy Jones Jr., and even today’s double Olympic Gold Medal winning duo of Guillermo Rigondeaux and Vasyl Lomachenko is that while these fighters were more than capable of doing what Mayweather does and coasting to a points victory, it was never enough for them. If the stoppage was there, they’d take it. If it wasn’t there, they’d force it. Even Ali, who wasn’t blessed with the power his massive physique decreed, scored 37 stoppages from 56 wins, halting the likes of Sonny Liston, Joe Frazier, George Foreman, Oscar Bonavena, Jerry Quarry and Ron Lyle. By comparison, Mayweather has an almost pathological fear of taking punishment. Since moving to welterweight in 2005, he has stopped just two opponents out of 15, the weak-chinned duo of career-140-pounders Sharmba Mitchell and Ricky Hatton (sucker punching Victor Ortiz doesn’t count). While Mayweather is no puncher, he could have added to his KO tally if he’d pressed the action in some of his fights, but instead chose to take the “safety first” route and coast to a points victory. Don’t expect anything different versus Conor McGregor. Mayweather might talk a good fight, but he’s been doing the same for years. He will be his usual cautious, defensive self, and it will be up to McGregor to go on the attack and force the action, using the blueprint laid down so effectively by Marcos Maidana. Should that happen, the bigger, stronger, harder punching McGregor can go a step further than Maidana and score a KO victory. Since the Mayweather v McGregor fight was announced, the great and the good of the ring have been queuing up to tell anybody who will listen that Conor McGregor has no chance of defeating Floyd Mayweather, primarily because of his lack of an extensive boxing career. Old Mayweather foes like Oscar De La Hoya and Ricky Hatton have reasoned – with some logic – that if they couldn’t land the punches needed to defeat him, what chance does a comparative boxing novice like McGregor have? However by that same token, logic would decree that if the 47 boxers that Mayweather has faced during his career couldn’t come up with a strategy to defeat him using conventional boxing skills and techniques, surely something unconventional was needed. It is McGregor’s lack of ingrained boxing skills and techniques and his very unconventionality that is the single biggest asset he has going for him. Conor throws his punches in a way that Mayweather will have never previously encountered. His southpaw jab will be different, his left cross will be different, as will his hooks, his jabs, his body shots plus any additional blows in his arsenal. Mayweather is accustomed to fighting conventional boxers, men who have basically been taught the same way since childhood. Even the southpaws he has faced have been drilled to throw a jab a certain way, to throw a cross a certain way, to hook and uppercut a certain way: the boxing way. Now Mayweather faces somebody who’s methodology is completely different. Someone who was once drilled with basic boxing skills, but has since spent thousands of hours training in MMA gyms. When McGregor comes at Mayweather in that opening round, his angles, his movement and his footwork will be unconventional, but those shots will be coming at Mayweather’s head with blinding speed and devastating power. An indication of this power is the way McGregor beat up former two-weight world champion Paulie Malignaggi recently in a sparring session. 36-year old Malignaggi is renowned for his boxing skills, defense, chin and durability, and yet he was “rag-dolled” by the heavy handed McGregor, quitting the camp after two days with a concussion. Take away the flashy accessories – the mansions, the Learjets, the Bugatti Veyrons, million-dollar timepieces, and the designer tracksuits (created for people 20 years younger) – and what you are left with is a short, slight, balding, plain looking middle-aged man with a criminal record for domestic violence, a minimal education, a rapidly decreasing fortune, and an ego the size of America. Make no mistake, when Floyd Mayweather gets up in the morning, when he goes to the gym, when he goes for a run, when he spars, he feels every one of his 40 years. Fearful by nature, his paranoia is getting worse as he gets older. 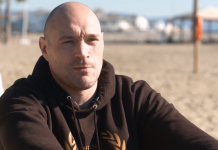 This is the man who goes everywhere with a troupe of bodyguards that dwarf him, who took his little daughter on stage with him during his press tour events in Los Angeles, Toronto, Brooklyn and London, using her as a “shield” in an attempt to temper the verbal onslaught heading his way from McGregor. It didn’t work. Thanks to modern advancements in nutrition and training and fighters “living the life” and avoiding the hard-partying lifestyle synonymous with boxers from Harry Greb to Mike Tyson, fighters are consistently competing at a high standard into their mid-to-late 30s. Fighters achieving success into their 40s is less prevalent. Archie Moore in the 1950s and Bernard Hopkins recently are ring rarities, relying on a combination of the skill and the caginess of a seasoned veteran, combined with a deep knowledge of boxing’s “dark arts” to survive. George Foreman and the Klitschko brothers Vitali and Vladimir held versions of the world heavyweight title in their 40s, but what all three had in common (aside from being all-time greats) was a size advantage over most of their opposition and concussive punching power. The legendary Sugar Ray Robinson never fought for another world title once he’d hit 40. 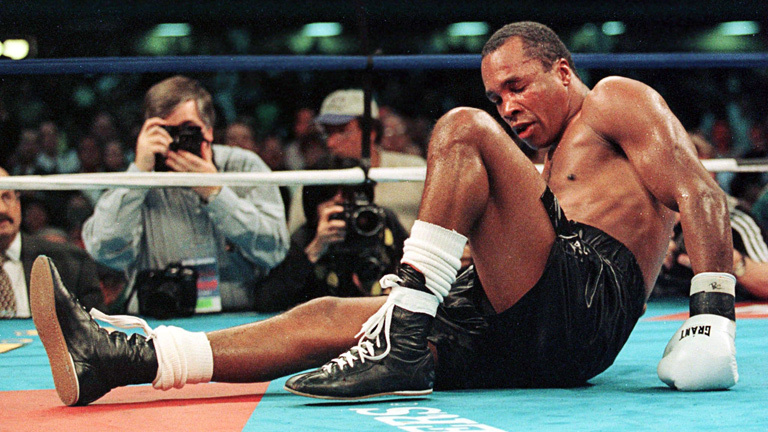 Modern ring icon Sugar Ray Leonard attempted a comeback aged 40 and was humiliated in six rounds by a 35-year old Hector Camacho. As far as we know, Floyd Mayweather doesn’t drink, smoke or take drugs. Of course, we thought the same about Sugar Ray Leonard, only for him to reveal years after his retirement that he was an alcoholic with a severe cocaine habit. Oscar De La Hoya has revealed that he battled similar demons throughout his career. 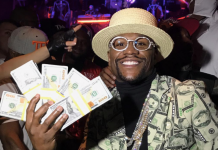 Thus far, Mayweather’s addictions appear to be restricted to gambling, spending vast sums of money and sharing his indulgences with the world via social media. If he has any booze or drug issues, he’s keeping them well hidden. Mayweather certainly doesn’t eat right. He loves fast food, and relies on a Spartan training regime to get in shape. Tennis legend Martina Navratilova was one of the pioneers of sport’s science, and was asked once what she believed was the most vital part of an athlete’s preparation. “Nutrition” she answered, without hesitation. Cosmetically, Mayweather looks in excellent shape for a man of 40. He has great abs and muscle tone, and he is still fit enough to go twelve rounds. However, he is a master of slowing a fight down to suit his advanced years. Mayweather is far slower of foot these days, and hasn’t thrown combinations in years, preferring instead to pot-shot rivals. When he faced Andre Berto in 2015 in his final bout, he already looked a shadow of the man who had so comprehensively outpointed a raw, 22-year old Saul Alvarez just two years earlier. What will he be like two years further down the line against a fired-up, rampaging Conor McGregor? If he thinks he can get away with throwing one punch at a time and clinching, he could be set for a rude awakening! As a super featherweight Floyd Mayweather often enjoyed a height and reach advantage over an opponent, but from lightweight onward, he has had to contend with the opposition being either the same size or bigger than he is, with only Manny Pacquiao, Juan Manuel Marquez and Ricky Hatton being smaller. Mayweather avoided fights against big welterweights like 6’2” Paul Williams and 6’ Antonio Margarito, instead taking on an abundance of blown up featherweights, lightweights and junior welterweights. Now Mayweather faces a man who is two inches taller than he is, with a corresponding reach advantage, but most significantly, could outweigh him by 20 lbs. on the night, making Conor McGregor his largest ever opponent. Mayweather has often said he could still make light welterweight, and while the weight limit for the McGregor fight has been set at the junior middleweight limit of 154 lbs., Mayweather is unlikely to be that heavy, even on the night of the fight. By comparison, when the bell rings McGregor will be at least 170 lbs., possibly more, effectively making him a light heavyweight. McGregor already has a reputation of having a great chin, and the extra weight will make him even harder to budge for the light-hitting Mayweather. Until McGregor’s arrival, MMA had been dominated by grapplers, with most of the action taking place on the canvas. McGregor was one of the first mixed martial artists who was comfortable enough in his striking abilities that he rarely went to the ground to win a fight. McGregor certainly hits extremely hard, as demonstrated by his 13-second, one punch KO of Jose Aldo in 2014, the Brazilian’s first defeat in ten years. The whole world will be watching to see if McGregor catches Mayweather with that same level of TNT. The final factor may be the most crucial of all; at 40, Mayweather is already past his sell-by date, and therefore of limited use to his long-term manager and advisor (some would say puppet master) Al Haymon. 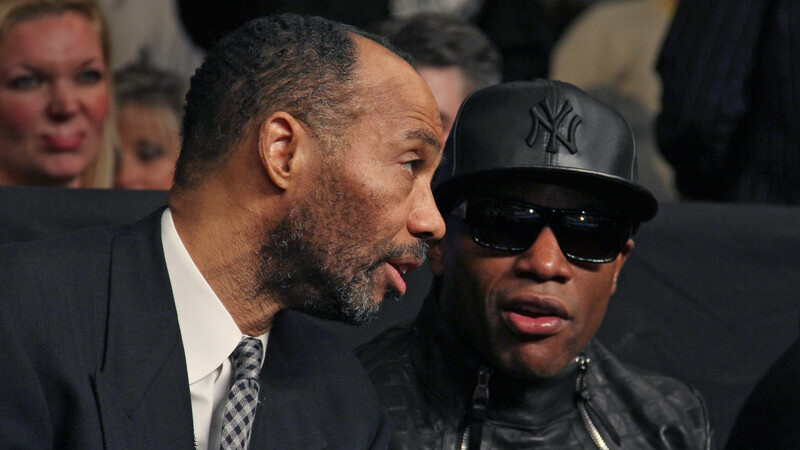 Former music impresario Haymon was the man who took over the management of Mayweather from Bob Arum more than a decade ago, cleverly turning him into boxing’s ultimate “heel”, the fighter everyone hates and is willing to pay to see lose. It proved to be a stroke of genius, aided in no small part by Mayweather himself, who took to his new persona like a duck to water, displaying a penchant for obnoxious behavior rarely seen by any sportsman. The result was a series of fights featuring Mayweather against Oscar De La Hoya, Saul Alvarez and Manny Pacquiao which proceeded to shatter all previous box-office records. Now Mayweather vs McGregor looks set to top even those records. Haymon knows that if Mayweather faces any of the young killers around his weight in boxing now, like Errol Spence and Keith Thurman at welterweight, Jermell Charlo or Erislandy Lara at light middleweight or Gennady Golovkin at middleweight, he stands to lose badly. There is no guarantee that he could even win a lucrative rematch against a previously beaten foe like Manny Pacquiao, Miguel Cotto or Canelo Alvarez. 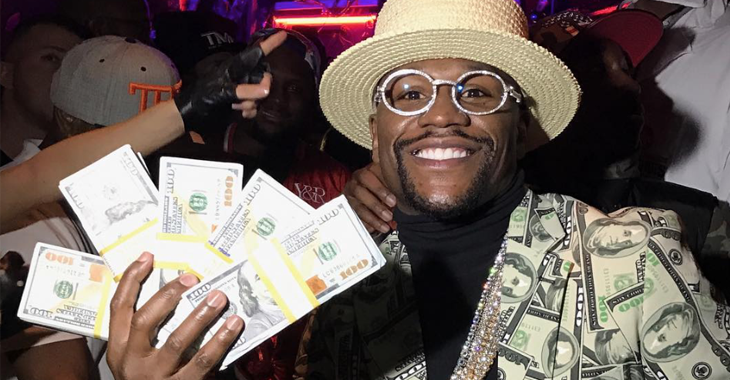 In reality, Mayweather’s fight with McGregor is his final throw of the dice, if he wants to remain undefeated and make a ton of money. 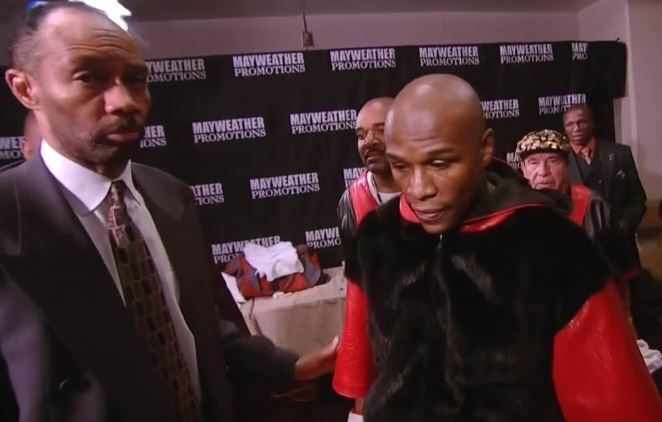 In the past, the Mayweather name coupled with the Haymon influence has ensured that he had everything from the venue to glove size to the referee and even judges in his favor. Should he lose to McGregor, all that will come to an end. Would McGregor flattening Mayweather really be that big of a sporting upset? Bet365 don’t think so. They make McGregor a 7/2 underdog, hardly the 42/1 longshot Buster Douglas was prior to KO of Mike Tyson, the 10/1 Jimmy Braddock was before he upset Max Baer, or the 7/1 a young Cassius Clay was before he “shook up the world” by beating Sonny Liston. McGregor to win by KO or TKO is 9/2 (bet365), to win by disqualification is also 9/2 (bet365) and to win on points or technical decision is 25/1 (William Hill). Please support The Boxing Post by clicking on your favored sportsbook link via our website! 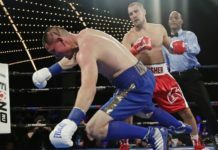 Sergey Kovalev Is Back! Krusher Ices Shabranskyy In Two!